Texas is a vast state, full of small towns, historic landmarks, state parks, and other attractions that draw visitors year after year. However, believe it or not, the majority of first-time visitors coming to Texas head to the major cities. Whether for business or pleasure, Texas’ top six cities offer visitors plenty of options. Located in Central Texas, Austin is the state capital and boasts a population of a little more than 950,000. 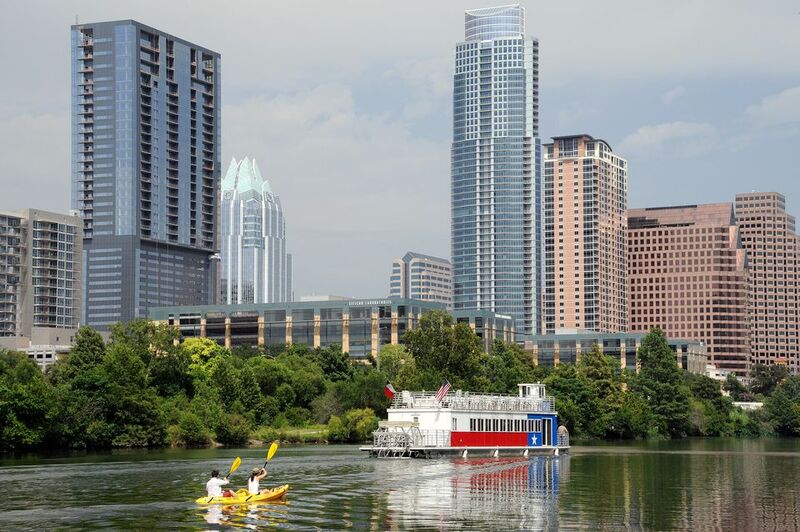 Austin is home to the University of Texas, the Texas State Capitol, Governor’s Mansion, Senate, and House of Representatives, all of which attract a variety of visitors. The UT football, baseball, basketball, and volleyball teams draw spectators to home games. Nearby Lake Travis, as well as Town Lake and Lake Austin, are popular destinations for fishermen, water skiers, swimmers, and water sports enthusiasts. But, more than anything, Austin is famous for its music. Regardless of what time of year you visit, there will be plenty of entertainment, lodging, and dining options available for you in Austin. The gem of the Coastal Bend, Corpus Christi is home to 325,000 people. Recent years have seen the area take huge leaps in building attractions. The Texas State Aquarium and USS Lexington are among the top visitor destinations in the state. Of course, being a “beach town,” Corpus Christi also boasts an impressive stretch of shore. The Padre Island National Seashore stretches from Corpus south 75 miles to the Port Mansfield Cut. This isolated stretch of beach has gained recognition as a sea turtle nesting ground, as well as being a favorite spot for fishermen, sun seekers, and beachgoers. Corpus Christi also features an impressive number of quality hotels, restaurants, and museums. The metropolitan hub of Northeast Texas’ Prairies and Lakes region, Dallas draws thousands of business and pleasure visitors annually. With 1.3 million people calling it home, Dallas is truly a major city and has the amenities one would expect from a city of that size. Of course, most people relate Dallas to the Cowboys football team. But, while there are plenty of tourists who head to AT&T Stadium to watch the 'Boys each year, Dallas has much more to offer visitors. Dallas boasts world-class shopping, theater, and accommodations. While you're in town, don’t miss seeing the horses at Lone Star Park. An enduring symbol of the Old Southwest, El Paso is a unique destination located at the far corner of Big Bend country in West Texas and is home to more than a half-million people. In addition to top-quality hotels, restaurants, and attractions, El Paso is a great jumping off point for a “two-nation vacation,” with many tourists heading across the border to shop in Mexico. Like other western destinations, El Paso is also famous for its year-round golf weather. Probably the most recognized “tourist town” in Texas, San Antonio is a true metropolis, with more than 1.5 million individuals residing there. San Antonio is a unique blend of historic landmarks such as the Alamo, world-class dining and hotels along the Riverwalk, and modern attractions such as Six Flags Fiesta Texas and SeaWorld San Antonio. With plenty to do and see, San Antonio is a favorite with visitors every month of the year. The largest city in Texas, with more than 2 million in the city and 6 million in the metro area, Houston offers visitors a wide range of amenities. Houston’s Downtown Aquarium is among the long list of attractions, which includes the Johnson Space Center, and the annual Houston Livestock Show and Rodeo. And, of course, there are a variety of top-flight restaurants, hotels, and events available in Houston all year long. So, while there are a number of “out-of-the-way” towns and attractions to visit in Texas, if you are looking for a sure thing, you can’t go wrong with one of these Texas’ top cities.